"I'm fighting, fighting, fighting, fighting - like all the millions and millions that I know I'm one of - to stay alive every day," she said in the video. 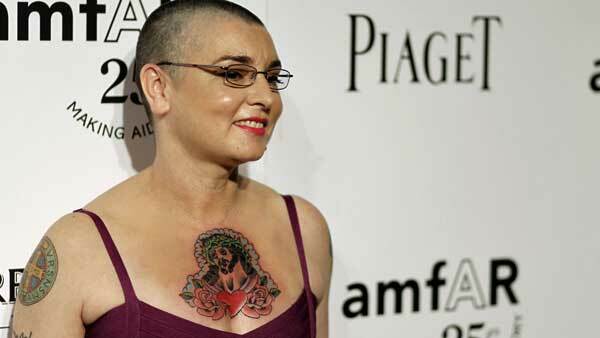 Sinead O'Connor found safe after being reported missing: Monica Malpass reports during Action News at 5 p.m. on May 16, 2016. O'Connor lamented what she described is a lack of support from loved ones, saying that "strangers on Facebook" are kinder to her than her own family. She asked her adult children and their fathers to make an effort to bring her home to Ireland. "It should not be acceptable to any man who knows me and claims to love and care about me that I'm still sitting here after two years and I'm begging ... to be brought home," she said through tears. O'Connor said she was living in a New Jersey Travelodge and later posted the address of a Travelodge in South Hackensack. South Hackensack Police Capt. Robert Kaiser said Tuesday that officers conducted a welfare check, but O'Connor wasn't in her room at the time. He said she is no longer staying there and police don't know where she is currently living. An email sent to her agent wasn't immediately returned. A follow-up Facebook post on O'Connor's page late Monday, said to be made on the singer's behalf, said the singer is safe and not suicidal. "She is surrounded by love and receiving the best of care," the post read. O'Connor has been open about her mental health problems over the years and previously said she was diagnosed with bipolar disorder. The singer was found in a Chicago-area hotel room last year after a call from a concerned doctor prompted a search by authorities. The singer topped charts across the globe in 1990 with her cover of Prince's ballad "Nothing Compares 2 U." She was sharply criticized two years later after ripping up a picture of Pope John Paul II during a performance on "Saturday Night Live."